Hi! I'm Jean-Marc. I work mainly in Computer Graphics, on the topics of Shape Modeling, Geometry Processing, Animation, Shape Analysis and Deformation, but I always try to expand my area of expertise and I'm interested in all aspects related to Computer Graphics and Data Processing and Analysis in general. 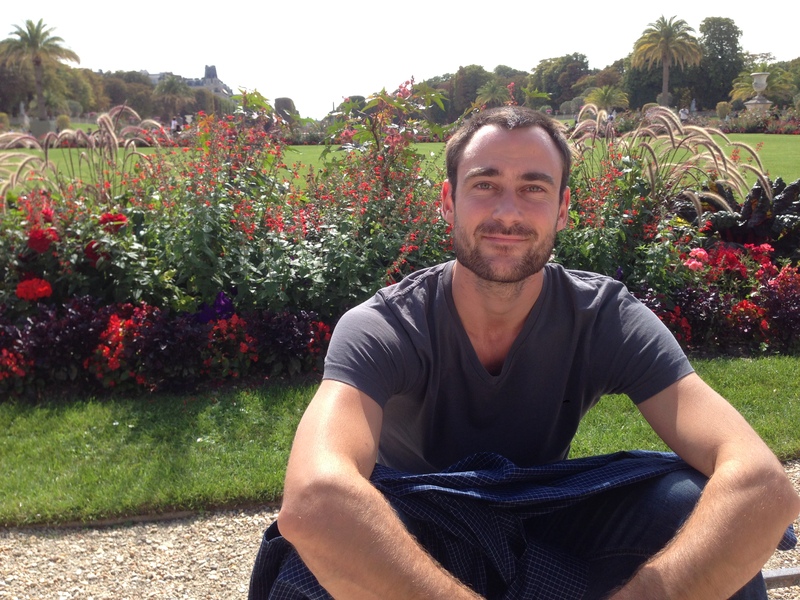 I received my PhD in 2012 in the Computer Graphics group of Telecom-ParisTech, which is a first class engineering school located in the core of Paris, in the XIIIth district. I have worked from 2013 to 2015 as a post-doctoral researcher at Telecom ParisTech and at TU Delft and I am since september 2016 an associate professor in Computer Graphics at Telecom ParisTech. Post-doc at TU Delft on geometric modeling and geometry processing. Post-doc at Telecom-Paristech on geometric modeling and geometry processing. PhD thesis at Telecom-Paristech on the subject of "Digital Geometry and Algorithmic Geometry for Interactive 3D Design" , under the direction of Pr. Tamy Boubekeur. 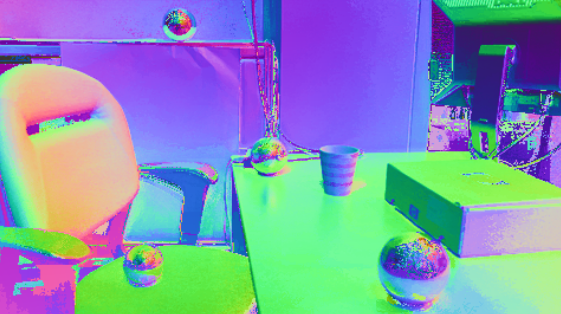 - Interactive 3D apps with OpenGL (IGR201), M1, Telecom-Paristech. - Computer Graphics and Virtual Reality (IGR202), M1, Telecom-Paristech. - Projects seminar (IGR205), M1, Telecom-Paristech. - 3D Computer Vision and Video (IMA208), M1, Telecom-Paristech. - 3D Computer Graphics, M1, Jussieu Paris 6. - Advanced 3D Computer Graphics (SI960), M2, Telecom-Paristech / Jussieu Paris 6. Everything you can find here is provided without any warranty. Use it at your convenience and at your own risks. - MaxVol: our cuda implementation of the maximum volume submatrix extraction method of Civril, Ali and Magdon-Ismail. Modern 3D capture pipelines produce dense surface meshes at high speed, which challenge geometric operators to process such massive data on-the-fly. In particular, aiming at instantaneous feature-preserving smoothing and clustering disqualifies global variational optimizers and one usually relies on high performance parallel kernels based on simple measures performed on the positions and normal vectors associated with the surface vertices. Although these operators are effective on small supports, they fail at properly capturing larger scale surface structures. To cope with this problem, we propose to enrich the surface representation with filtered quadrics, a compact and discriminating range space to guide processing. Compared to normal-based approaches, this additional vertex attribute significantly improves feature preservation for fast bilateral filtering and mode-seeking clustering, while exhibiting a linear memory cost in the number of vertices and retaining the simplicity of convolutional filters. In particular, the overall performance of our approach stems from its natural compatibility with modern fine-grained parallel computing architectures such as graphics processor units (GPU). As a result, filtered quadrics offer a superior ability to handle a broad spectrum of frequencies and preserve large salient structures, delivering meshes on-the-fly for interactive and streaming applications, as well as quickly processing large data collections, instrumental in learning-based geometry analysis. Mean value coordinates for quad cages in 3D Space coordinates offer an elegant, scalable and versatile framework to propagate (multi-)scalar functions from the boundary vertices of a 3-manifold, often called a cage, within its volume. These generalizations of the barycentric coordinate system have progressively expanded the range of eligible cages to triangle and planar polygon surface meshes with arbitrary topology, concave regions and a spatially-varying sampling ratio, while preserving a smooth diffusion of the prescribed on-surface functions. In spite of their potential for major computer graphics applications such as freeform deformation or volume texturing, current space coordinate systems have only found a moderate impact in applications. This follows from the constraint of having only triangles in the cage most of the time, while many application scenarios favor arbitrary (non-planar) quad meshes for their ability to align the surface structure with features and to naturally cope with anisotropic sampling. In order to use space coordinates with arbitrary quad cages currently, one must triangulate them, which results in large propagation distortion. Instead, we propose a generalization of a popular coordinate system, Mean Value Coordinates, to quad and tri-quad cages, bridging the gap between high-quality coarse meshing and volume diffusion through space coordinates. Our method can process non-planar quads, comes with a closed-form solution free from global optimization and reproduces the expected behavior of Mean Value Coordinates, namely smoothness within the cage volume and continuity everywhere. As a result, we show how these coordinates compare favorably to classical space coordinates on triangulated quad cages, in particular for freeform deformation. Current tractography methods generate tractograms composed of millions of 3D polylines, called fibers, making visualization and interpretation extremely challenging, thus complexifying the use of this technique in a clinical environment. We propose to progressively simplify tractograms by grouping similar fibers into generalized cylinders. This produces a fine-grained multi-resolution model that provides a progressive and real-time navigation through different levels of detail. This model preserves the overall structure of the tractogram and can be adapted to different measures of similarity. We also provide an efficient implementation of the method based on a Delaunay tetrahedralization. We illustrate our method using the Human Connectome Project dataset. Dictionaries are very useful objects for data analysis, as they enable a compact representation of large sets of objects through the combination of atoms. Dictionary-based techniques have also particularly benefited from the recent advances in machine learning, which has allowed for data-driven algorithms to take advantage of the redundancy in the input dataset and discover relations between objects without human supervision or hard-coded rules. Despite the success of dictionary-based techniques on a wide range of tasks in geometric modeling and geometry processing, the literature is missing a principled state-of-the-art of the current knowledge in this field. To fill this gap, we provide in this survey an overview of data-driven dictionary-based methods in geometric modeling. We structure our discussion by application domain: surface reconstruction, compression, and synthesis. Contrary to previous surveys, we place special emphasis on dictionary-based methods suitable for 3D data synthesis, with applications in geometric modeling and design. Our ultimate goal is to enlight the fact that these techniques can be used to combine the data-driven paradigm with design intent to synthesize new plausible objects with minimal human intervention. This is the main motivation to restrict the scope of the present survey to techniques handling point clouds and meshes, making use of dictionaries whose definition depends on the input data, and enabling shape reconstruction or synthesis through the combination of atoms. We present a fast, robust and high-quality technique to skin a mesh with reference to a skeleton. 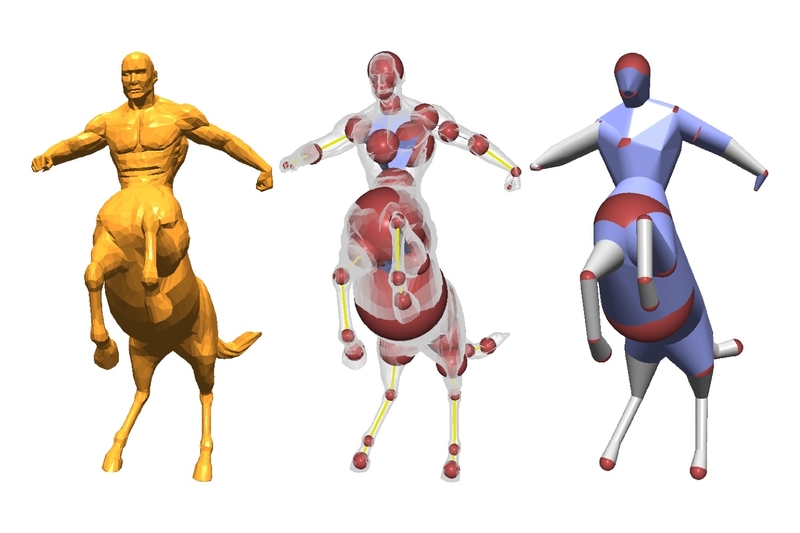 We consider the space of possible skeleton deformations (based on skeletal constraints, or skeletal animations), and compute skinning weights based on an optimization scheme to obtain as-rigid-as-possible (ARAP) corresponding mesh deformations. 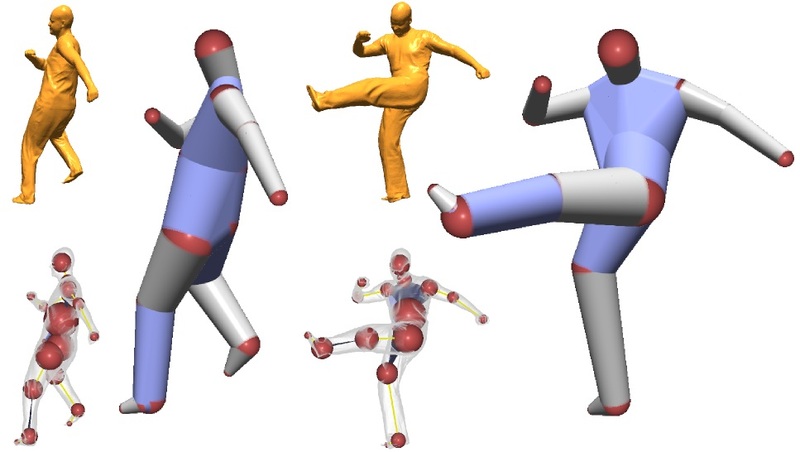 We support stretchable-and-twistable bones (STBs) and spines by generalizing the ARAP deformations to stretchable deformers. Additionally, our approach can optimize joint placements. If wanted, a user can guide and interact with the results, which is facilitated by an interactive feedback, reached via an efficient sparsification scheme. We demonstrate our technique on challenging inputs (STBs and spines, triangle and tetrahedral meshes featuring missing elements, boundaries, self-intersections, or wire edges). We propose a practical iterative remeshing algorithm for multi-material tetrahedral meshes which is solely based on simple local topological operations, such as edge collapse, flip, split and vertex smoothing. To do so, we exploit an intermediate implicit feature complex which reconstructs piecewise smooth multi-material boundaries made of surface patches, feature edges and corner vertices. Futhermore, we design specific feature-aware local remeshing rules which, combined with a moving least square projection, result in high quality isotropic meshes representing the input mesh at a user defined resolution while preserving important features. Our algorithm uses only topology-aware local operations, which allows to process difficult input meshes such as self-intersecting ones. We evaluate our approach on a collection of examples and experimentally show that it is fast and scales well. Performance capture systems are used to acquire high-quality animated 3D surfaces, usually in form of a dense 3D triangle mesh. Extracting a more compact, yet faithful representation is often desirable, but existing solutions for animated sequences are surface-based, which leads to a limited approximation power in the case of extreme simplification. We introduce animated sphere-meshes, which are meshes indexing a set of animated spheres. Our solution is the first to output an animated volumetric structure to approximate animated 3D surfaces and optimizes for the sphere approximation, connectivity, and temporal coherence. As a result, our algorithm produces a multi-resolution structure from which a level of simplification can be selected in real-time, preserving a faithful approximation of the input, even at the coarsest levels. We demonstrate the use of animated sphere-meshes for low-cost approximate collision detection. Additionally, we propose a skinning decomposition, which automatically rigs the input mesh to the chosen level of detail. The resulting set of weights are smooth, compress the animation, and enable easy edits. Voxel-based approaches are today's standard to encode volume data. Recently, directed acyclic graphs (DAGs) were success- fully used for compressing sparse voxel scenes as well, but they are restricted to a single bit of (geometry) information per voxel. We present a method to compress arbitrary data, such as colors, normals, or reflectance information. By decoupling geometry and voxel data via a novel mapping scheme, we are able to apply the DAG principle to encode the topology, while using a palette-based compression for the voxel attributes, leading to a drastic memory reduction. Our method outperforms existing state-of-the-art techniques and is well-suited for GPU architectures. We achieve real-time performance on commodity hardware for colored scenes with up to 17 hierarchical levels (a 128 K^3 voxel resolution), which are stored fully in core. Mean Shift is a well-known clustering algorithm that has attractive properties such as the ability to find non convex and local clusters even in high dimensional spaces, while remaining relatively insensitive to outliers. However, due to its poor computational performance, real-world applications are limited. In this article, we propose a novel acceleration strategy for the traditional Mean Shift algorithm, along with a two-layers strategy, resulting in a considerable performance increase, while maintaining high cluster quality.We also show how to to find clusters in a streaming environment with bounded memory, in which queries need to be answered at interactive rates, and for which no mean shift-based algorithm currently exists. Our online structure can be updated at very minimal cost and as infrequently as possible, and we show how to detect the time at which this update needs to be performed. Our technique is validated extensively in both static and streaming environments. DATA ANALYTICS 2015, The Fourth International Conference on Data Analytics - Best paper award in session "Big Data"
Surface selection is one of the fundamental cornerstone interaction in shape modeling. In the case of complex models, this task is often tedious for at least two reasons: first the local geometry of a given region may be hard to select manually and needs great accuracy; second the selection process may have to be repeated a large number of times for similar regions requiring similar subsequent editing. We propose SimSelect, a new system for interactive selection on 3D surfaces addressing these two issues. We cope with the accuracy issue by classifying selection in different types namely components, parts and patches for which we independently optimize. Second, we address the repetitivity issue by introducing an expansion process based on shape recognition which automatically retrieves potential selections similar to the user-defined one. As a result, our system provides the user with a compact set of simple interaction primitives leveraging a smooth select-and-edit workflow. 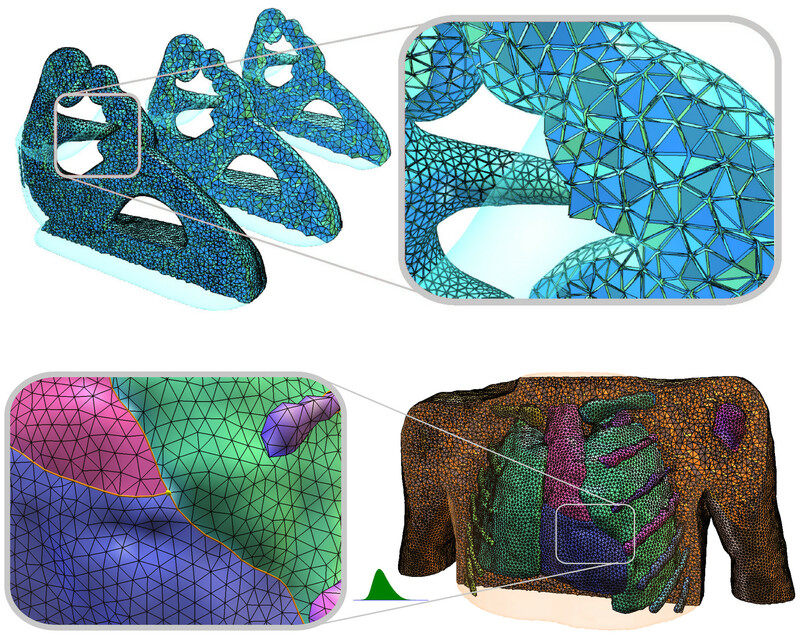 The Scale Axis Transform provides a parametric simplification of the Medial Axis of a 3D shape which can be seen as a hierarchical description. However, this powerful shape analysis method has a significant computational cost, requiring several minutes for a single scale on a mesh of few thousands vertices. Moreover, the scale axis can be artificially complexified at large scales, introducing new topological structures in the simplified model. In this paper, we propose a progressive medial axis simplification method inspired from surface optimization techniques which retains the geometric intuition of the scale axis transform. We compute a hierarchy of simplified medial axes by means of successive edge-collapses of the input medial axis. These operations prevent the creation of artificial tunnels that can occur in the original scale axis transform. As a result, our progressive simplification approach allows to compute the complete hierarchy of scales in a few seconds on typical input medial axes. We show how this variation of the scale axis transform impacts the resulting medial structure. Shape approximation algorithms aim at computing simple geometric descriptions of dense surface meshes. Many such algorithms are based on mesh decimation techniques, generating coarse triangulations while optimizing for a particular metric which models the distance to the original shape. This approximation scheme is very efficient when enough polygons are allowed for the simplified model. However, as coarser approximations are reached, the intrinsic piecewise linear point interpolation which defines the decimated geometry fails at capturing even simple structures. We claim that when reaching such extreme simplification levels, highly instrumental in shape analysis, the approximating representation should explicitly and progressively model the volumetric extent of the original shape. In this paper, we propose Sphere-Meshes, a new shape representation designed for extreme approximations and substituting a sphere interpolation for the classic point interpolation of surface meshes. From a technical point-of-view, we propose a new shape approximation algorithm, generating a sphere-mesh at a prescribed level of detail from a classical polygon mesh. We also introduce a new metric to guide this approximation, the Spherical Quadric Error Metric in R4 , whose minimizer finds the sphere that best approximates a set of tangent planes in the input and which is sensitive to surface orientation, thus distinguishing naturally between the inside and the outside of an object. We evaluate the performance of our algorithm on a collection of models covering a wide range of topological and geometric structures and compare it against alternate methods. Lastly, we propose an application to deformation control where a sphere-mesh hierarchy is used as a convenient rig for altering the input shape interactively. !!! Get c++ code here !!! Mean Value Coordinates provide an efficient mechanism for the interpolation of scalar functions defined on orientable domains with non-convex boundary. They present several interesting features, including the simplicity and speed that yield from their closed-form expression. In several applications though, it is desirable to enforce additional constraints involving the partial derivatives of the interpolated function, as done in the case of the Green Coordinates approximation scheme for interactive 3D model deformation. In this paper, we introduce the analytic expressions of the Jacobian and the Hessian of functions interpolated through Mean Value Coordinates. We provide these expressions both for the 2D and 3D case. We also provide a thorough analysis of their degenerate configurations along with accurate approximations of the partial derivatives in these configurations. Extensive numerical experiments show the accuracy of our derivation. In particular, we illustrate the improvements of our formulae over a variety of Finite Difference schemes in terms of precision and usability. We demonstrate the utility of this derivation in several applications, including cage-based implicit 3D model deformations (i.e. Variational MVC deformations). This technique allows for easy and interactive model deformations with sparse positional, rotational and smoothness constraints. Moreover, the cages produced by the algorithm can be directly re-used for further manipulations, which makes our framework directly compatible with existing software supporting Mean Value Coordinates based deformations. !!! Get c++ code here !!! While 3D surfaces are essentially represented using triangle meshes in the domain of digital geometry, the structures that allow to interact with those are various and adapted to the different geometry processing tasks that are targetted by the user. This thesis presents results on structures of various dimension and various geometrical representations, going from internal structures like analytical curve skeletons for shape modeling, to on-surface structures allowing automatic selection of feature handles for shape deformation, and external control structures known as “cages” offering a high-level representation of animated 3D data stemming from performance capture. Results on spatial functions are also presented, in particular for the Mean-Value Coordinates, for which the analytical formulae of the gradients and the Hessians are provided, and biharmonic functions, for which a finite elements basis is given for the resolution of the biharmonic Laplace problem with mixed Dirichlet/Neumann boundary conditions, as well as their applications to 3D shapes deformation. Whole-body anatomically correct high-resolution 3D medical images are instrumental for physical simulations. Unfortunately, only a limited number of acquired datasets are available and the scope of possible applications is limited by the patient's posture. 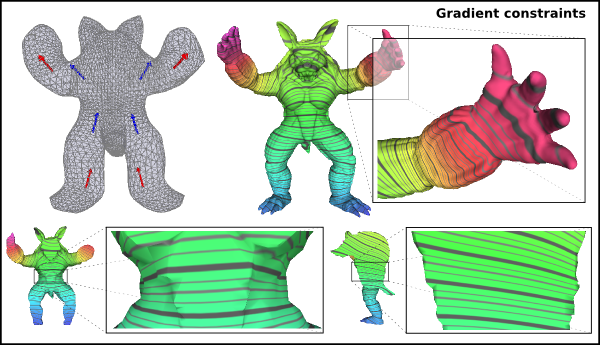 In this paper, we propose an extension of the interactive cage-based deformation pipeline VoxMorph [Faraj2012], for labeled voxel grids allowing to efficiently explore the space of plausible poses while preserving the tissues' internal structure. We propose 3 main contributions to overcome the limitations of this pipeline: (i) we improve its robustness by proposing a deformation diffusion scheme, (ii) we improve its accuracy by proposing a new error-metric for the refinement process of the motion adaptive structure, (iii)~we improve its scalability by proposing an out-of-core implementation. Our method is easy to use for novice users, robust and scales up to 3D images that do not fit in memory, while offering limited distortion and mass loss. 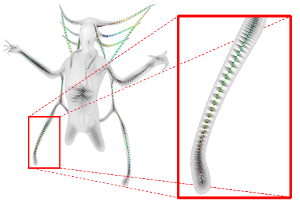 We evaluate our approach on postured whole-body segmented images and present an electro-magnetic wave exposure study for human-waves interaction simulations. We present a new curve skeleton model designed for surface modeling and processing. This skeleton is defined as the geometrical integration of a piecewise harmonic parameterization defined over a disk-cylinder surface decomposition. 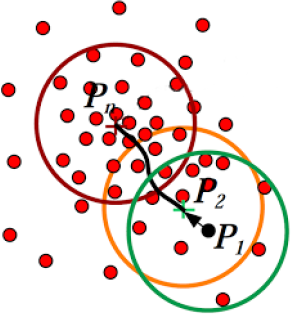 This decomposition is computed using a progressive Region Graph reduction based on both geometric and topological criteria which can be iteratively optimized to improve region boundaries. The skeleton has an analytical form with regularity inherited from the surface one. Such a form offers well-defined surface-skeleton and skeleton-surface projections. The resulting skeleton satisfies quality criteria which are relevant for skeleton-based modeling and processing. We propose applications that benefit from our skeleton model, including local thickness editing, inset surface creation for shell mapping, as well as a new mid-scale feature preserving smoothing. 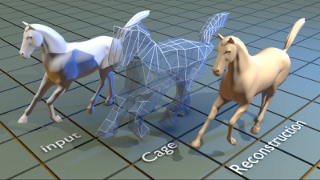 We present a novel framework for converting animated 3D shape sequences into compact and stable cage-based representations. Given a raw animated sequence with one-to-one point correspondences together with an initial cage embedding, our algorithm automatically generates smoothly varying cage embeddings which faithfully reconstruct the enclosed object deformation. Our technique is fast, automatic, oblivious to the cage coordinate system, provides controllable error and exploits a GPU implementation. At the core of our method, we introduce a new algebraic algorithm based on Maximum Volume Sub-matrices (maxvol) to speed up and stabilize the deformation inversion. We also present a new spectral regularization algorithm that can apply arbitrary regularization terms on selected sub-parts of the inversion spectrum. This step allows to enforce a highly localized cage regularization, guaranteeing its smooth variation along the sequence. We demonstrate the speed, accuracy and robustness of our framework on various synthetic and acquired data sets. The benefits of our approach are illustrated in applications such as animation compression and post-editing. We propose VoxMorph, a new interactive freeform deformation tool for high resolution voxel grids. Our system exploits cages for high-level deformation control. We tackle the scalability issue by introducing a new 3-scale deformation algorithm composed of a high quality as-rigid-as possible deformation at coarse scale, a quasi-conformal space deformation at mid-scale and a new deformation-adaptive local linear technique at fine scale. The two first scales are applied interactively on a visualization envelope, while the complete full resolution deformation is computed as a post-process after the interactive session, resulting in a high resolution voxel grid containing the deformed model. We tested our system on various real world datasets and demonstrate that our approach offers a good balance between performance and quality. Interactive freeform surface deformation methods allow to explore the space of possible shapes using simple control structures. While recent advances in variational editing provide high quality deformations, designing control structures remains a time-consuming manual process. We propose a new automatic control structure generation based on the observation that the most salient visual structures of a surface, such as the one exploited in Line Drawing methods, are tightly linked to the potential deformations it may undergo. Our basic idea is to build control structures from those lines in order to provide users with an automatic set of deformation handles to grab and manipulate, avoiding the tedious task of region selection and handle positioning. The resulting interface inherits view-dependency and adaptivity from line definitions, reduces significantly the modeling session time in a number of scenarii, and remains fully compatible with classical handle-based deformations.